Austin Avenue Methodist Church met traditionally Christian holidays, such as Christmas and Easter, with great enthusiasm. 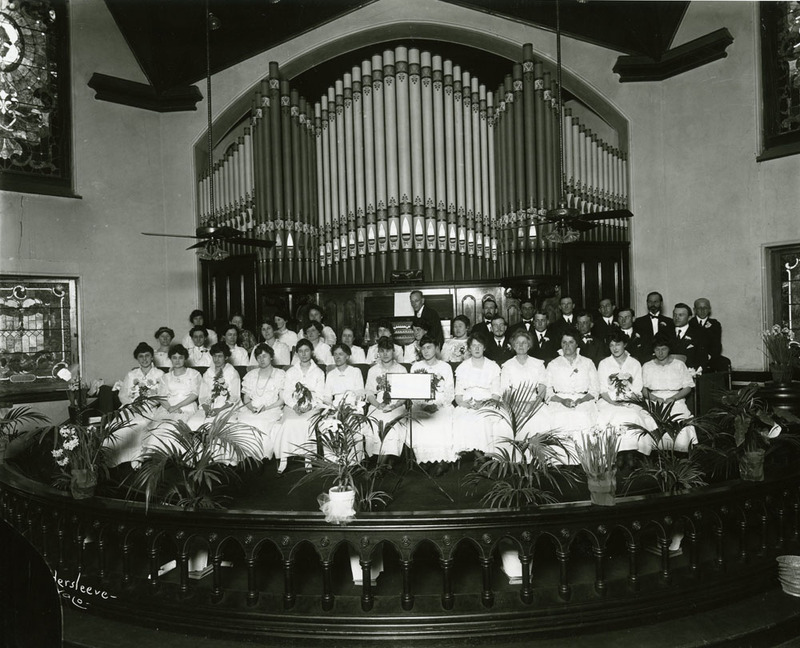 Here, the church's choir sits for a formal portrait before leading the congregation in Eastertide worship. Note the special seasonal decorations of Easter lilies, daffodils, and palm fronds.